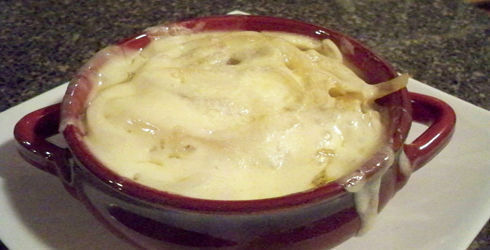 Chicken Divan Recipe is another great dish for those busy weeknights. Super simple to prepare and delicious, Chicken Divan is a great recipe where you are cooking the veggies right along with everything else. 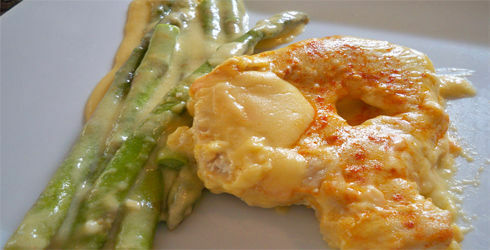 If you have picky eaters that are resistant to trying new veggies, cooking them along with chicken that is smothered in a cheese sauce is a wonderful way to sneak them in. [donotprint]There is nothing better, every now and then, then a good Fettuccine Alfredo recipe. 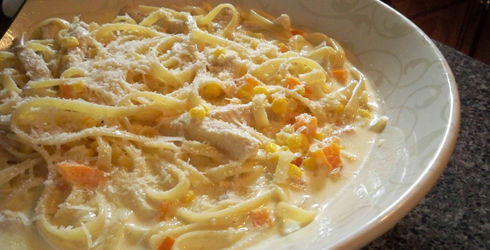 Roasted Corn and Chicken Fettuccine is similar to an Alfredo sauce, but not as thick and using less butter, cream and cheese. If you are looking for a comforting pasta recipe, with a touch of indulgence, Roasted Corn and Chicken Fettuccine is exactly what you are looking for. 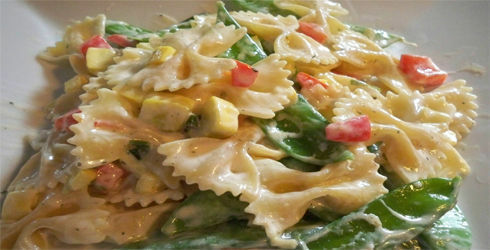 Creamy Pasta Primavera is a favorite dinner recipe, especially when spring veggies are abundant. With farmers markets reopening, this is a great recipe to make that truly highlights the best in-season, local vegetables have to offer. Creamy Pasta Primavera is a cinch to make, taking about 20 minutes total. This recipe gets even better though, by offering a low calories, low fat, yet full flavor to the traditional Pasta Primavera recipes, with a hint of lemon. Like a lot of my recipes, this is not a traditional Chicken Gumbo Recipe. Even though this Gumbo is not prepared in the traditional sense, it tastes every bit as amazing, with a fraction of the effort. With no roux, this Chicken Gumbo is more thin like a soup, but works wonderfully when served on top of rice. This more of a Creole Recipe then Cajun. 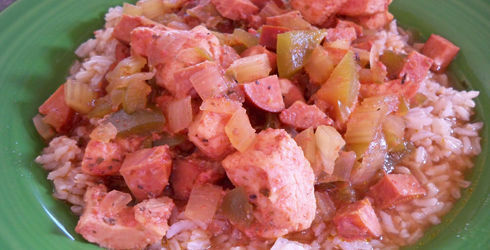 By not adding a roux to the recipe, this Chicken Gumbo Recipe is much healthier, reducing fat and calories. If you couldn’t tell by now, I am a soup lover. I love trying out new soups, finding new ways to delicately simmer ingredients until their flavors meld together. With Spring in full bloom and Summer just around the corner, soon grocery stores and farmers markets will be flooded with local sweet corn. 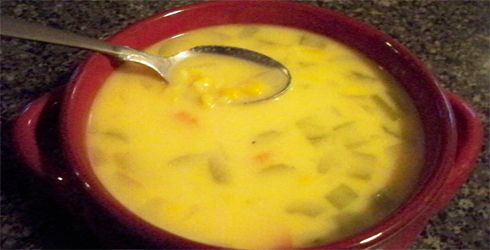 What better way to celebrate the great corn harvest, then to make and amazing Corn and Cheddar Chowder. 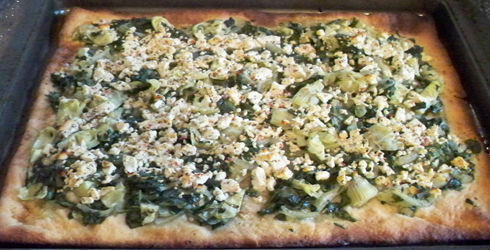 Spinach, Artichoke and Feta Pizza is an amazing recipe and a great way to curb those pizza cravings without all the guilt. The great thing about this recipe is how perfectly seasoned the toppings are, requiring non of the traditional oily, buttery, garlic white pizza sauce. Sauteing the veggies together with the addition of garlic, dill and salt brings out an awesome flavor everyone will love. 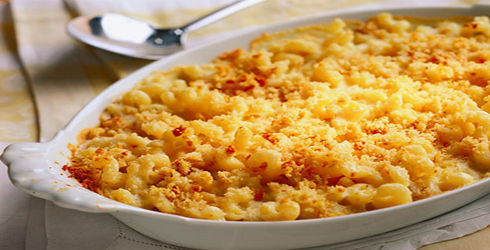 Healthy Mac and Cheese is an amazing recipe! Honestly, I think it is the best macaroni and cheese you can make with great flavor, but a fraction of the fat and calories of the old fashioned kind. This is a true comfort food. Just remember to taste it for proper seasoning, and don’t overdo it. 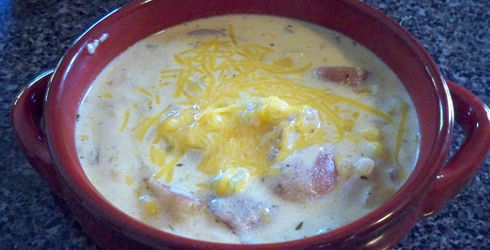 There is nothing I like better then eating homemade soups, stews, and chowders. I love how the longer ingredients simmer the more the flavor develops, and you can get completely different tastes from similar ingredients depending on how they are combined. Soups are multi-talented, they can be served nearly any time of the day. They can be hearty and warm on those cool days, or they can be chilled and light when it’s warm out. Soups are simply fabulous! 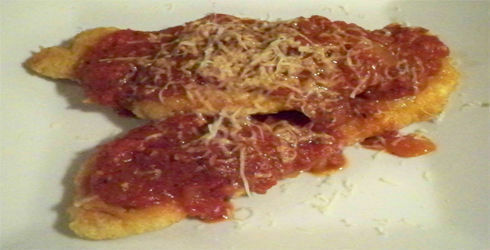 Chicken Parmesan is a good recipe everyone should have…or two, as this is the second one found on The Hungry Wife. Although similar recipes, this one is particularly wonderful for a weeknight meal. Easy to prepare, I like using thin cut chicken breast halves so I don’t have to pound the chicken thin. 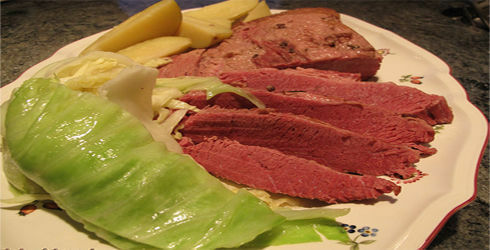 With March just around the corner, I start to get the craving for Corned Beef and Cabbage in preparation to celebrate my Irish heritage. Even though I love this dish, I seem to forget about it until St. Patrick’s day rolls around. Corned Beef and Cabbage deserves more respect then it typically gets. 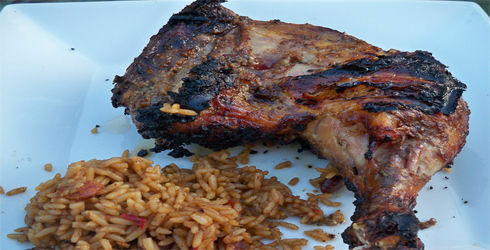 The meat is super flavorful, with a subtle and unique taste. 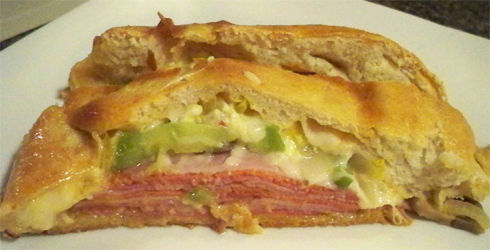 Leftovers are perfect to use in homemade Corned Beef Hash and sliced on sandwiches. 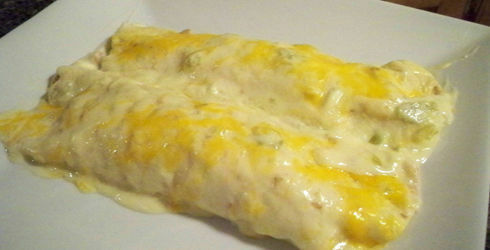 Chicken Enchiladas is an awesome dish, and this recipe is a bit unique. A super creamy and flavorful white sauce is makes these enchiladas so special. If you do prefer a red sauce on your Chicken Enchiladas, omit the soup, sour cream, and 1 cup of milk. Stir the reserved chile peppers into 2 1/2 cups of canned or homemade red sauce. Bake as directed. There is nothing better then to wake up to the smell of fresh baked cinnamon in the morning. 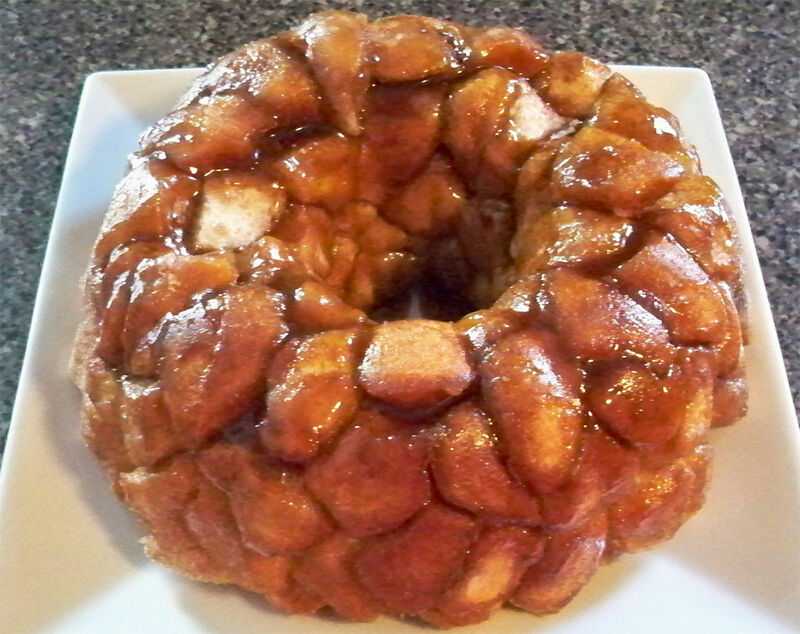 Most people are not going to make fresh baked goods everyday, but for those special Sunday mornings, Monkey Bread is super delicious and easy to make before the rest of the family crawls out of bed. Turkey Corn Chili is the perfect solution to those days when you don’t have much time to get dinner on the table. 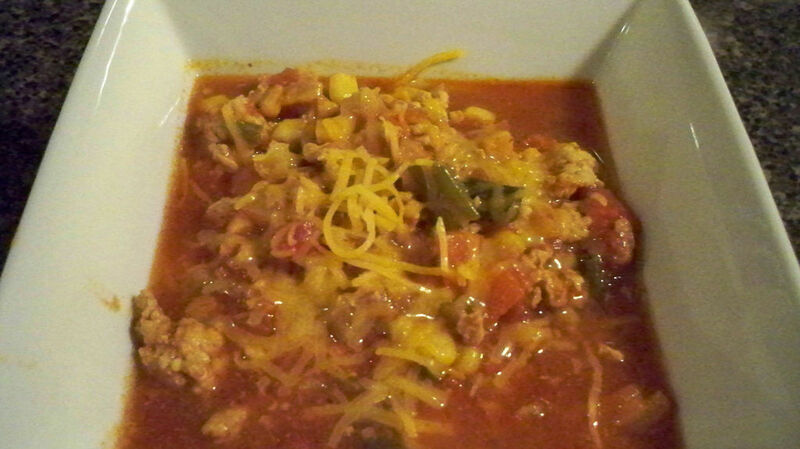 Unlike a lot of other chili recipes, Turkey Corn Chili takes about 30 minutes start to finish. It tastes delicious, you’ll wonder why you ever spent so much time on chili before. French Onion Soup is one of those classic dishes that everyone likes to start off their meals with. 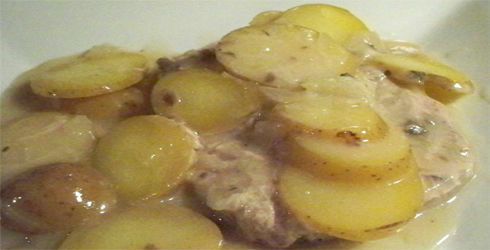 It is simple and delicious, a wonderful appetizer or great as the main dish served with salad or a sandwich. There are a lot of recipes out there for French Onion Soup, and some of them can get pretty complicated. What sets this recipe apart from the others is the simplicity of it, yet it’s still pack with that awesome flavor. This year for Christmas, my mother finally gave me what I have been wanting for a very long time, a family recipe cookbook. She has been working on this collection since I was a little girl, and I have been dreaming for the day when I would finally get it. I though to start off the historic cooking collection, it would be fitting make one of my mothers recipes. Recently, I’ve been watching old Julia Child cooking videos from her TV show “The French Chef”. 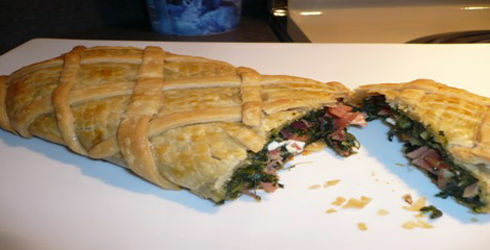 I came across this recipe for Spinach Turnover, and instantly wanted to make one. Now, I don’t own any of Julia Child’s cookbooks, something I intend on fixing soon, so I had to write down this recipe straight from the video. It is kind of a long recipe, but it’s not too complicated to make, and it tastes delicious! If you should have any questions about the recipe, you can easily search for Julia Child’s cooking videos. This one in particular is found on PBS.com and is called “The Spinach Twins”. The video should help clear up anything I did not make clear in the recipe. 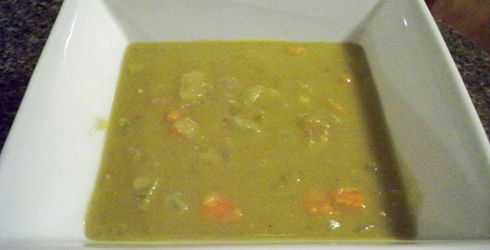 There seems to be a love/hate relationship with Split Pea Soup. I happen to love it, my husband, not so much. However, since I find Split Pea Soup to be amazing and a super winter comfort food, I’m going to share my recipe with all the other people who love and appreciate the soup as much as I do. 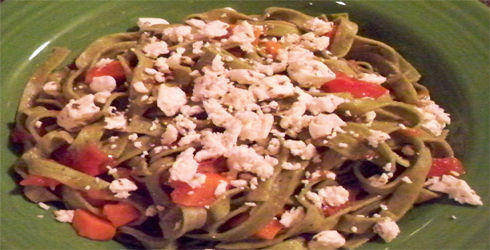 Trattoria Spinach Fettuccine is the kind of dish that small, neighborhood Italian restaurants serve. It features an intensely flavored double-tomato sauce with tangy feta cheese. This recipe is so simple with few ingredients that I almost wasn’t sure if it would live up to The Hungry Wife requirements. I sure was glad that I tried this out, it has a delicate flavor that shines so well. All the ingredients work together to make a beautiful pasta that doesn’t require any extra seasoning.